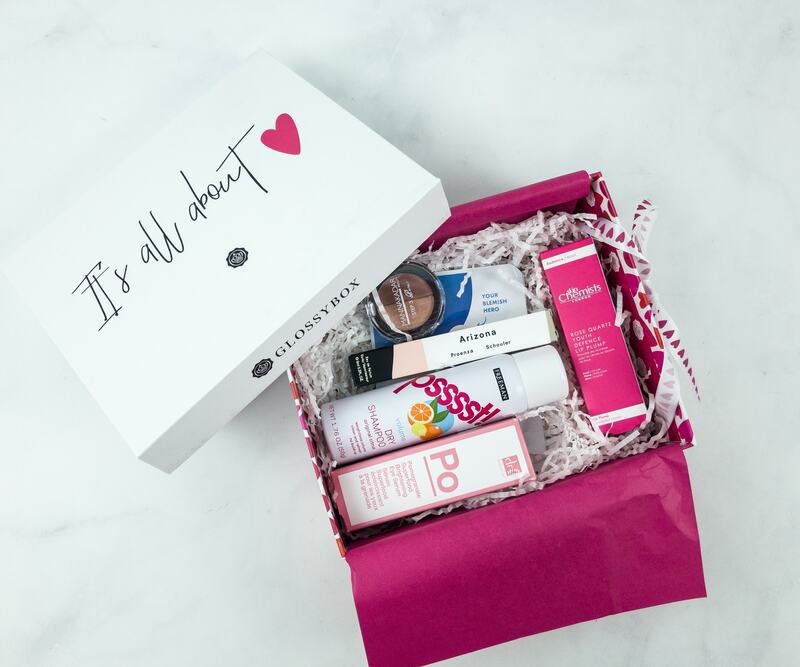 DEAL: Use coupon code HEART for 20% off your first box! 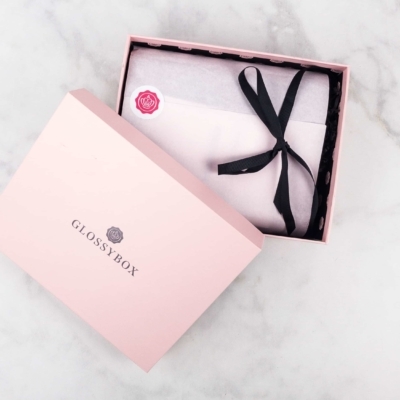 Everything is elegantly wrapped in pink tissue paper with Glossybox’s ribbon. The presentation is so pretty and cool. 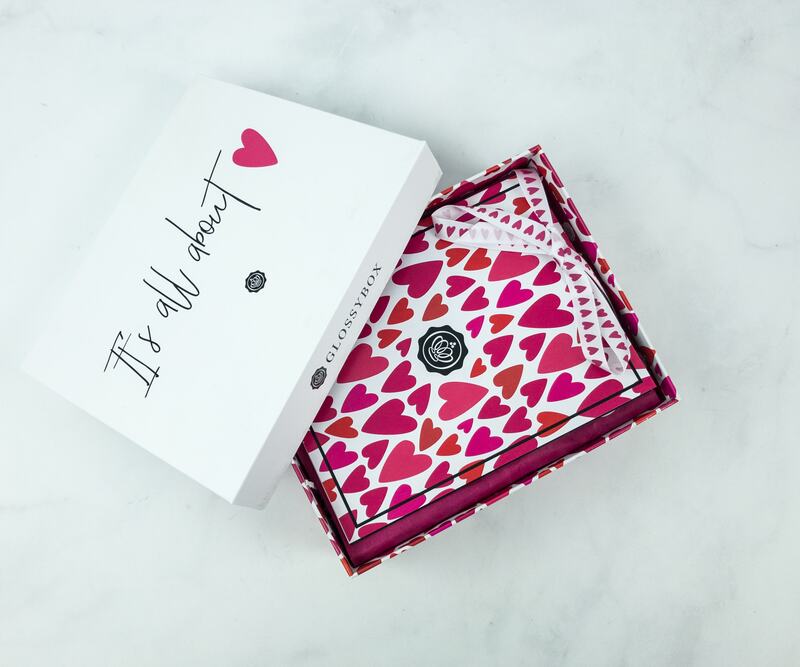 I’m seeing all hearts for the Valentine’s Day! Everything is packed snugly in there with the white squiggles. 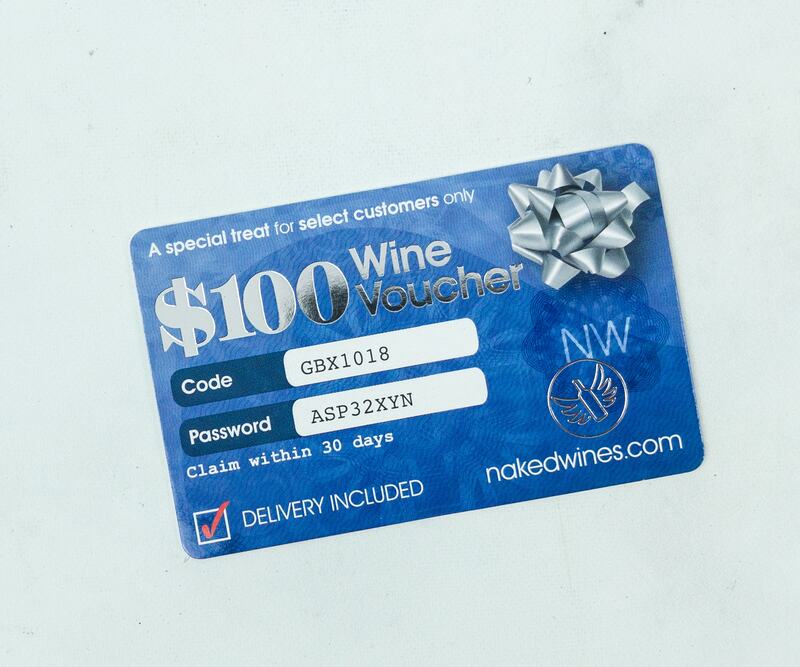 Also included in the box is a wine gift voucher worth $100! 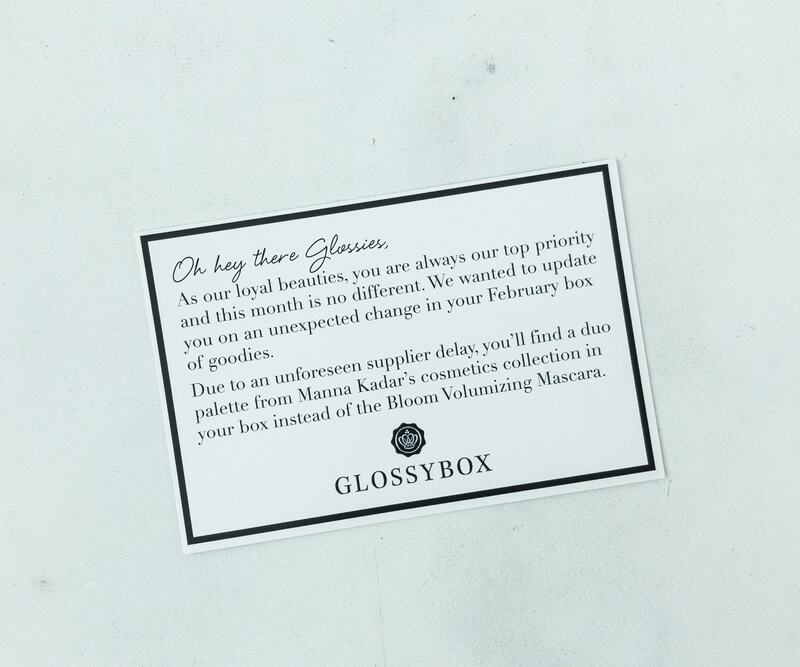 Because of a supplier delay, there’s a disclaimer that welcomes us in the box. 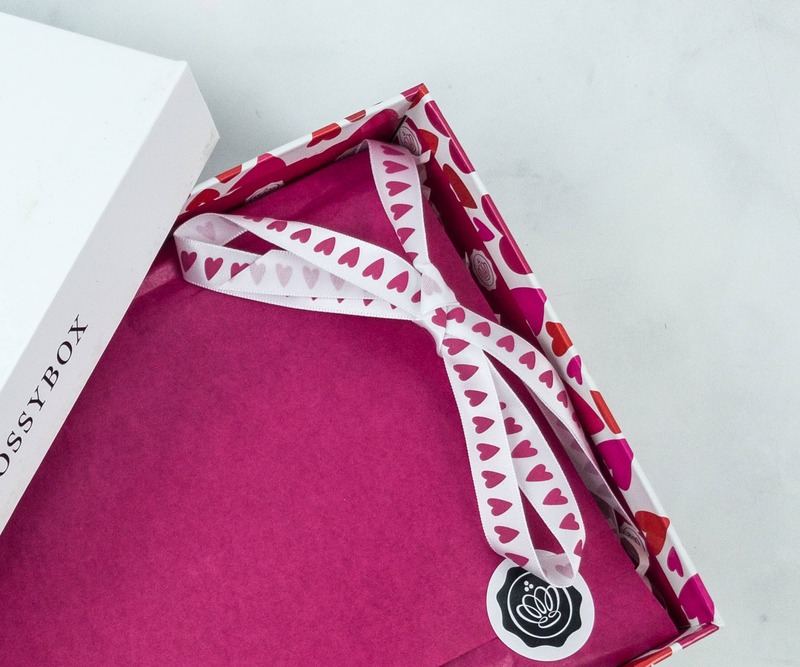 It indicates that instead of the Bloom Volumizing Mascara, we are receiving a duo palette from Manna Kadar. 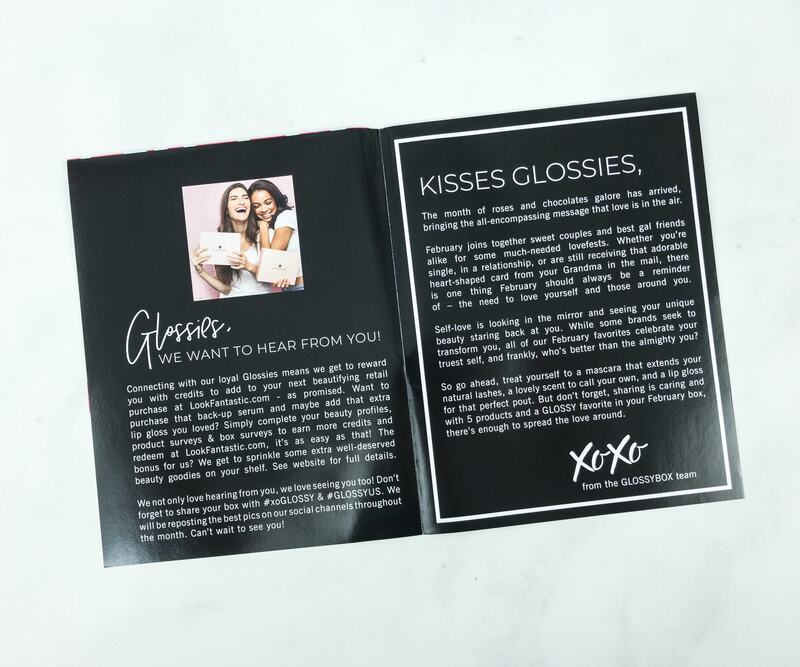 The card also has all the information about the products inside the box. It is so aesthetically pleasing because of the hearts all over. 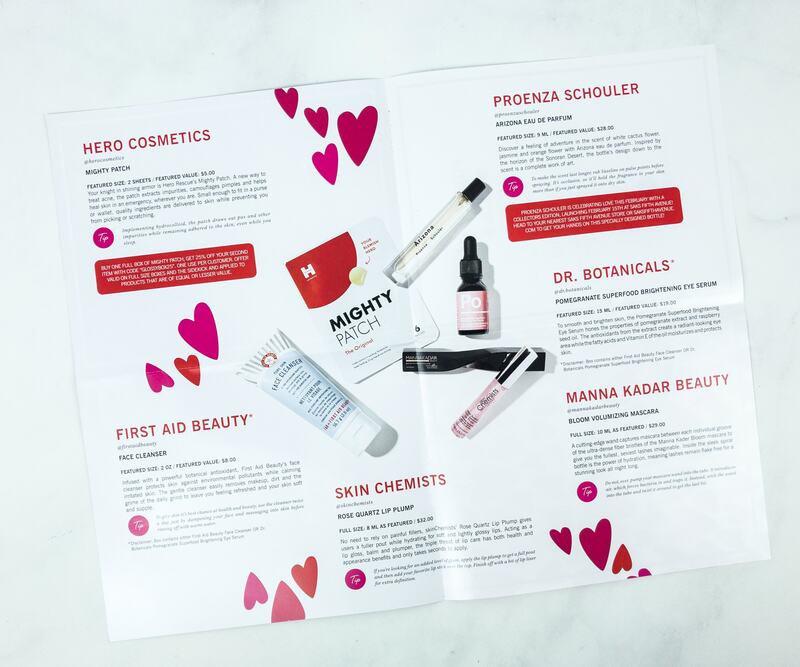 The box features brands like Skin Chemists, First Aid Beauty, Hero Cosmetics, Proenza Schouler, Dr. Botanicals and Manna Kadar Beauty. 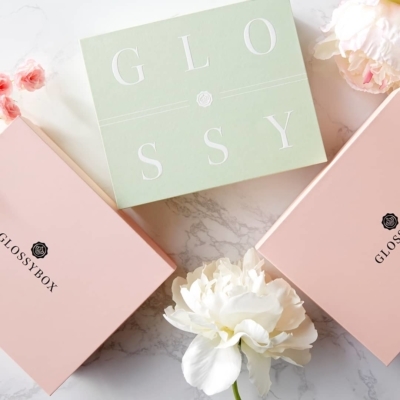 Some of the brands in the info card are not in this box because GLOSSYBOX has a few variations this month so not all of their boxes will be the same. Also, I didn’t get the sheet that matched my box! 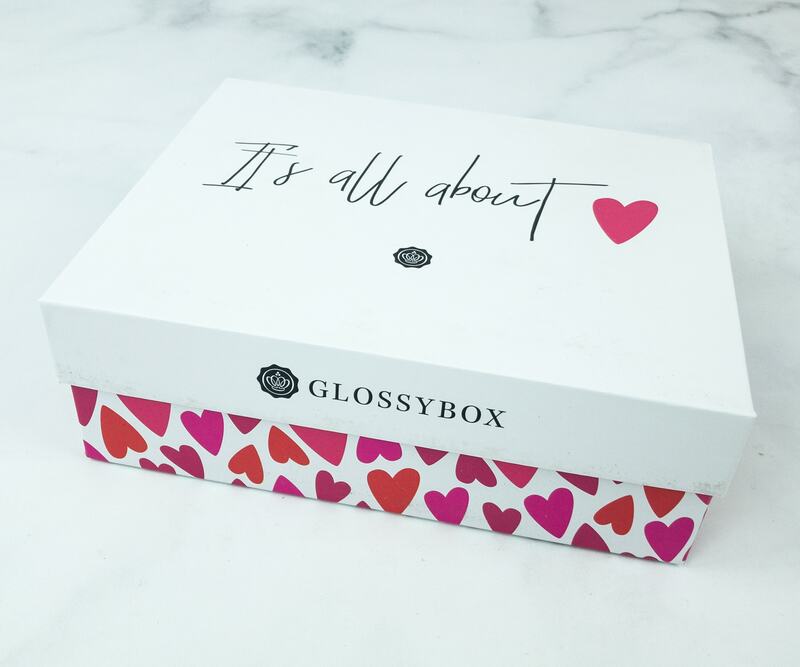 Everything in my February 2019 box! 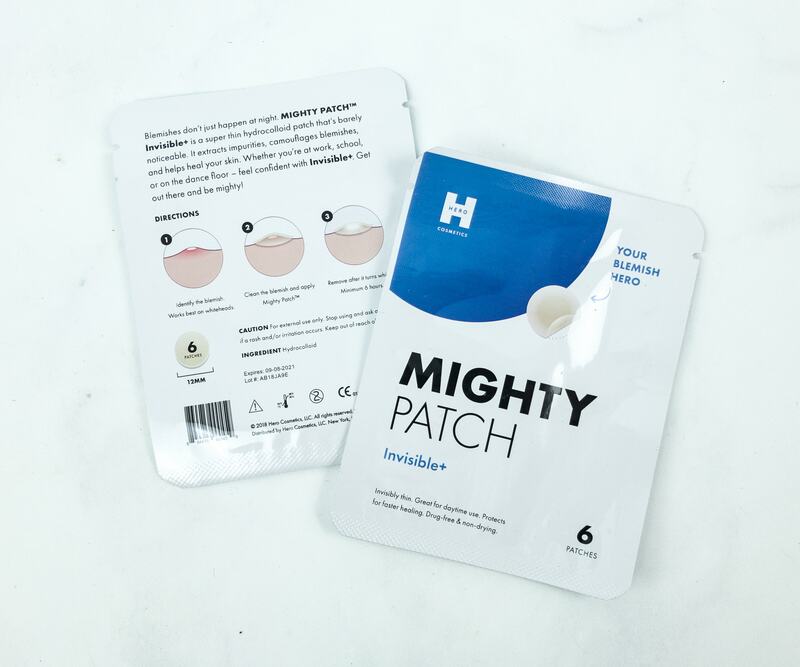 Hero Cosmetics Mighty Patch ($5.54) Pimples can put us into a sticky situation. This invisible thin hydrocolloid patch will be your best friend. 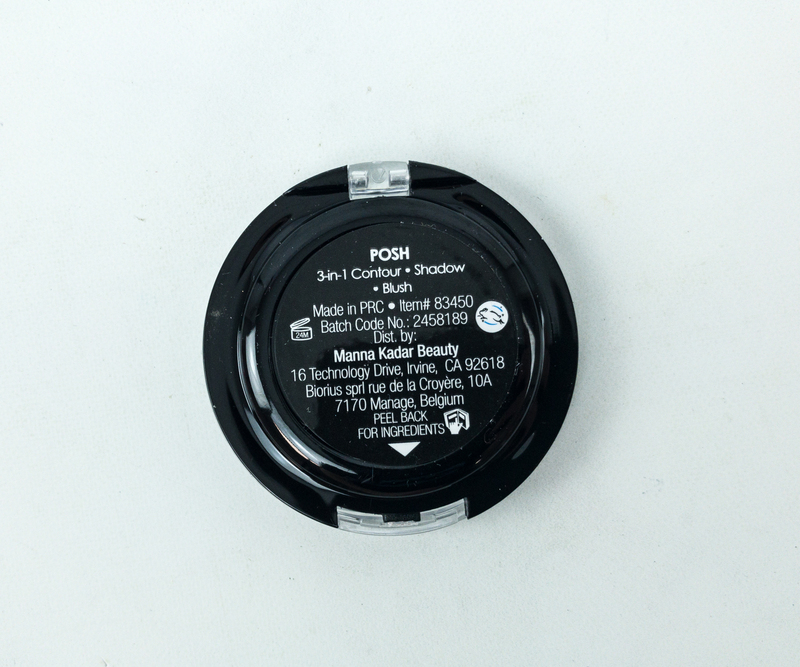 It has a clear color that has a matte finish that blends with the skin once you apply it on a cleaned blemish. It can extract impurities, heal skin and camouflage the blemish. You can wear this for a minimum of 6 hours and remove when it turns white. It protects the pimple from accidental pricking and touching when you are out and about. Don’t worry as it is drug-free and non-drying, natural, cruelty-free and vegan -friendly. It’s magic! 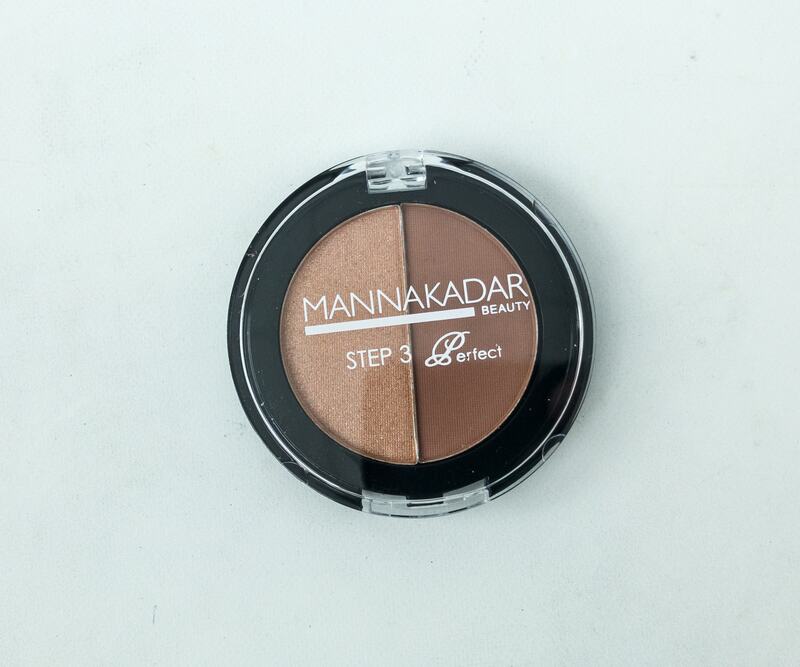 Manna Kadar Beauty 3-in-1 in Posh ($24) This split pan duo is a versatile, travel-friendly makeup that works as a blush, contour, highlighter, and eye shadow. 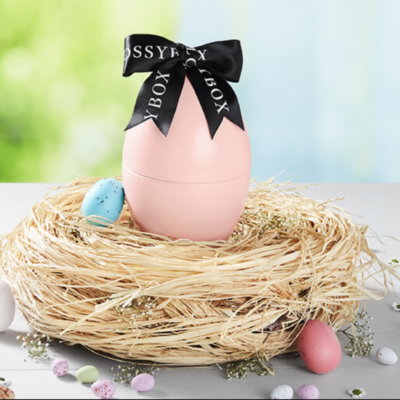 It has a matte and pearlized finish that is lightweight on the skin and can blend smoothly to provide a healthier glow to the skin. Manna Kadar is cruelty-free. You can mix the shades together to have different effects. It can also be applied to your body for an added bronzed up look! It’s easier to get pigment for a highlight if you use your fingers. I don’t usually wear blush in this shade because I do like my pinks and corals but I can definitely contour my face with this. 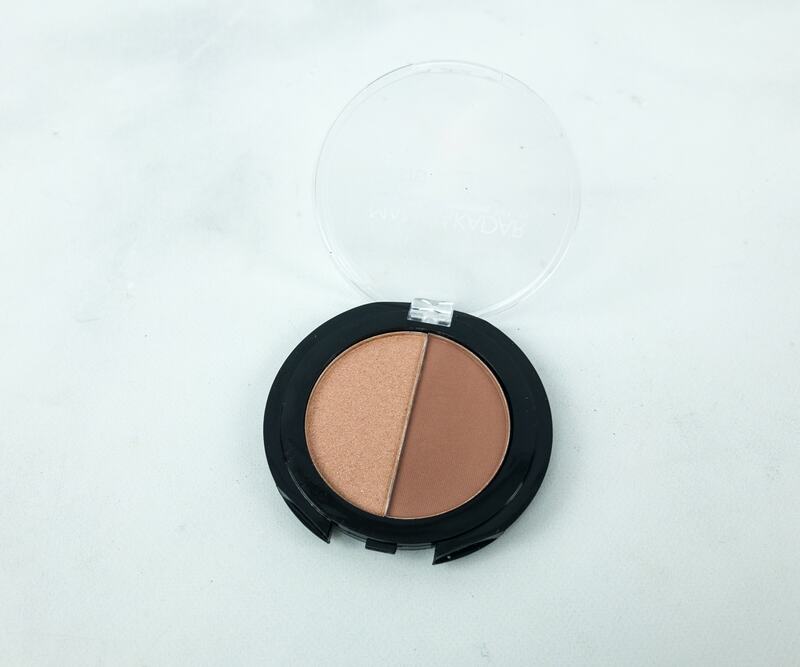 The shades limiting if you have a lighter skin tone – maybe a good go-to eyeshadow. 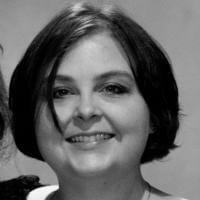 You can go as subtle and as intense if you want to because the formula is buildable. Psssst! Volume Original Citrus Dry Shampoo ($3.48) This can be a hair saver as it makes your flat hair refreshed and revived. 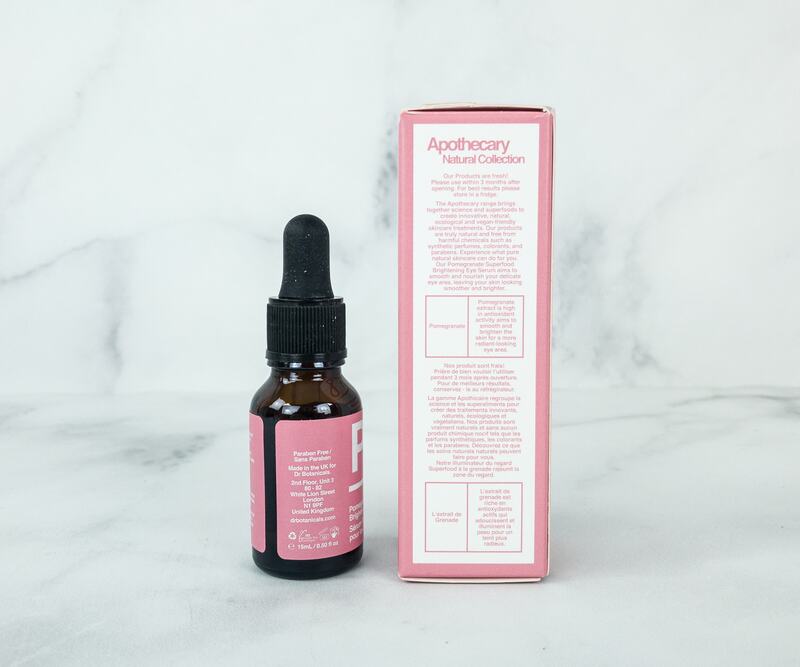 The lightweight formula is talc-free but is able to soak up oils, sweat, and build-up. Water is not required, just spray and brush. We use dry shampoos if normal shampooing isn’t a practical option. Use in between washes or if you want to prolong your blow-outs and newly styled hair. It can be a quick fix for long flights that can make your hair flat and in between work and date. 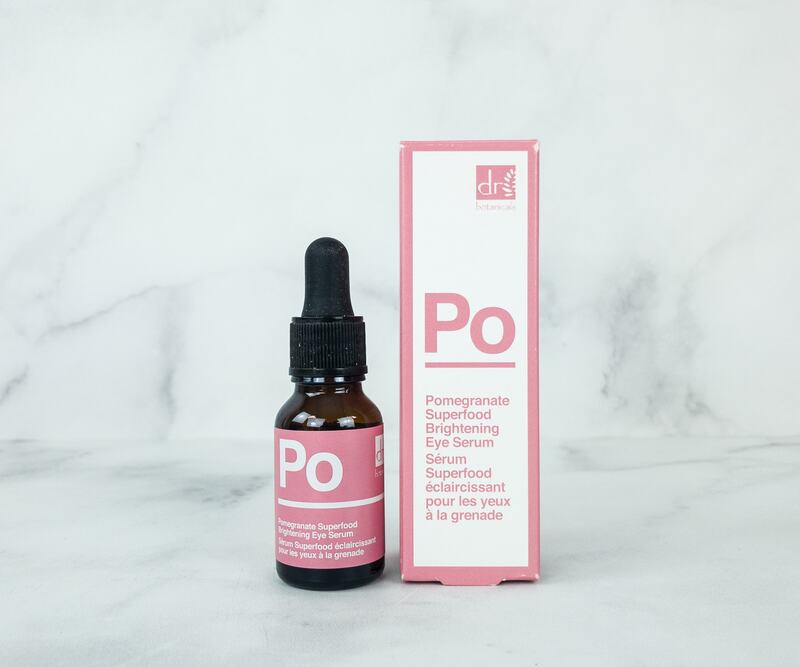 Dr. Botanicals Pomegranate Superfood Brightening Eye Serum ($19) The active ingredients of pomegranate extract and raspberry seed oil makes this superfood brightening serum special because it facilitates high antioxidant activity and high amounts of fatty acids and vitamin E. All of these contribute in brightening the skin, making it more nourished and revitalized while protecting the skin’s complexion. 15ml can go a long way. Just smooth evenly over eye area. You can only use this for 3 months after opening though, so if you don’t use it fast enough, perhaps the neck area is the next best target? 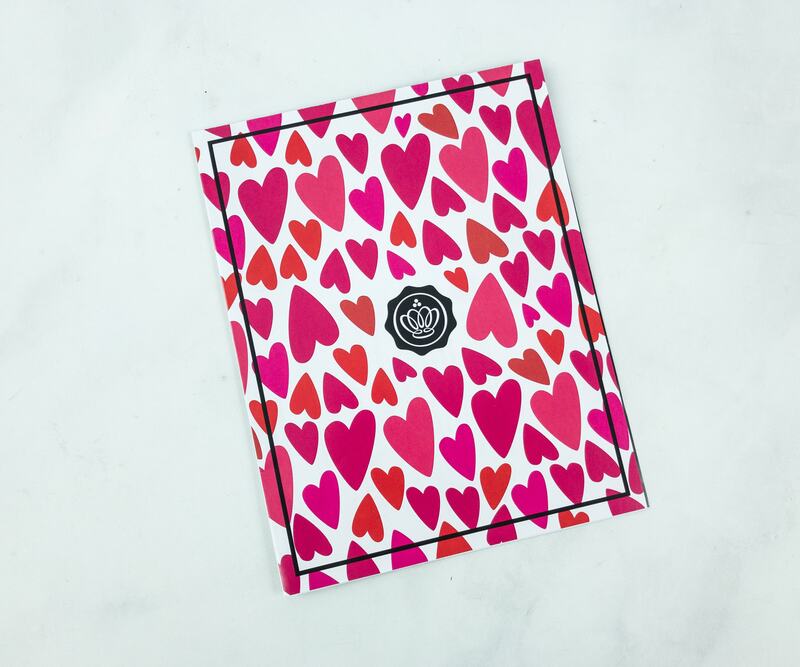 It is cruelty-free, made in the UK, vegan and made only of natural ingredients. 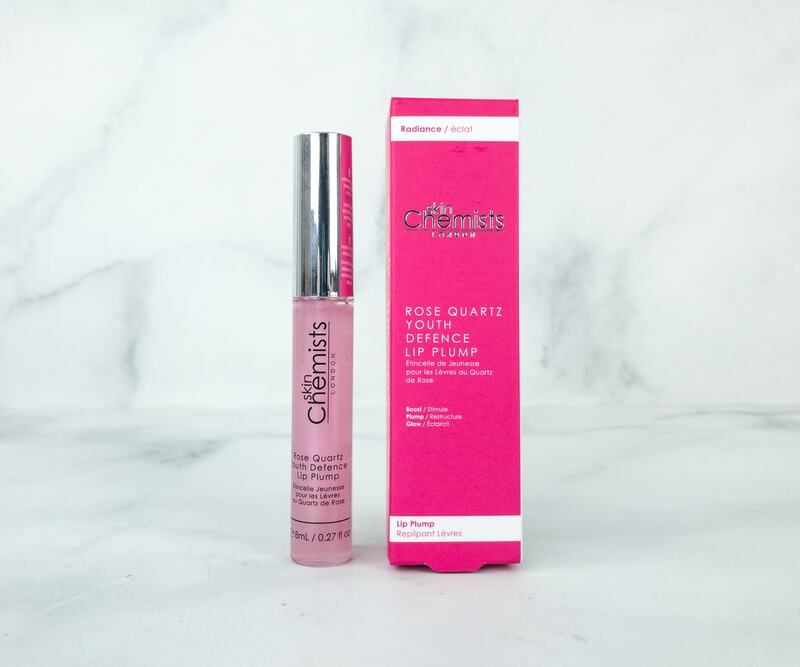 Rose Quartz Youth Defence Lip Plump by Skinchemists ($21) If you are suffering from damaged, chapped lips and wants to have a fuller, plumper lips then you need this cruelty-free Lip Plump by SkinChemists as it has Vitamin E, Volulip formula and peppermint oil. They provide hydration by stimulating Hyaluronic acid synthesis and produce a soft, lightly glossy and plumping effect. It also aids in good circulation that encourages a fuller pout. The wand facilitates easy application and doesn’t have a notable smell. It’s lightweight and not tacky when applied on top of lipstick. Arizona Eau De Parfum by Proenza Schouler ($16.50) I love the unique, feminine and musky scent of this gragrance. Even if you accidentally overspray, it has a warm woody and floral scent that aren’t offensive even in a close-knit space like the office. It has notes of orris, cactus blossom, jasmine, orange flower, solar accord, and musk. 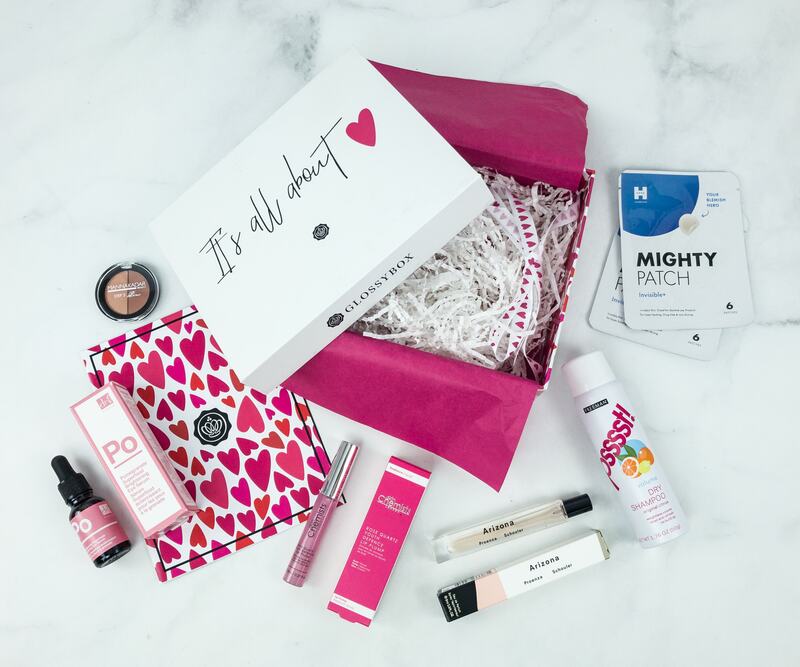 This box is just full of love from the packaging to the products. 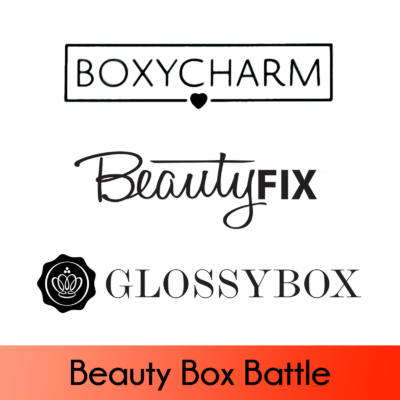 The box can be used again to organize your trinkets or a container for your vanity kit. 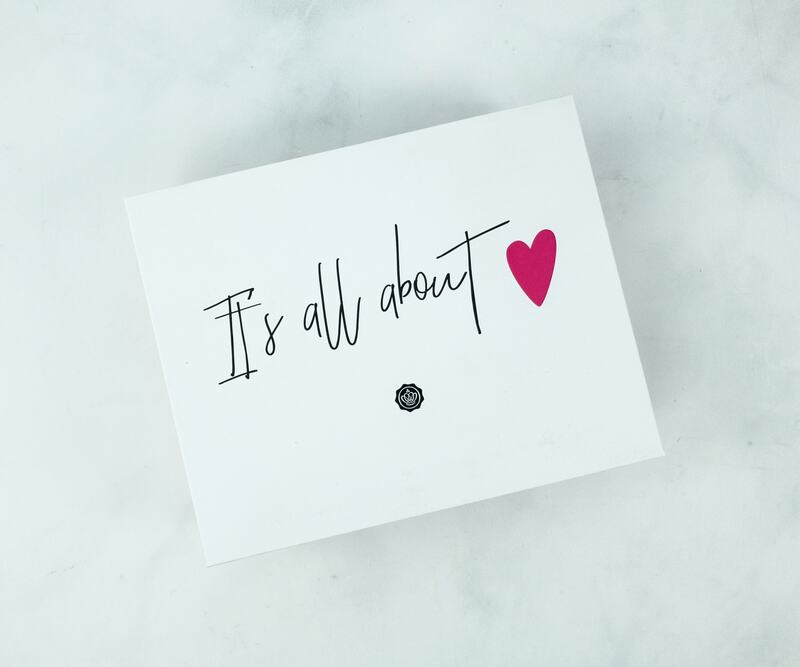 All of the items certainly put a smile on my face as it offered variety and needed products that are not always featured in a box. The hydrocolloid patch is effective in concealing blemishes and pimples which can give you more confidence to go about your daily routine. 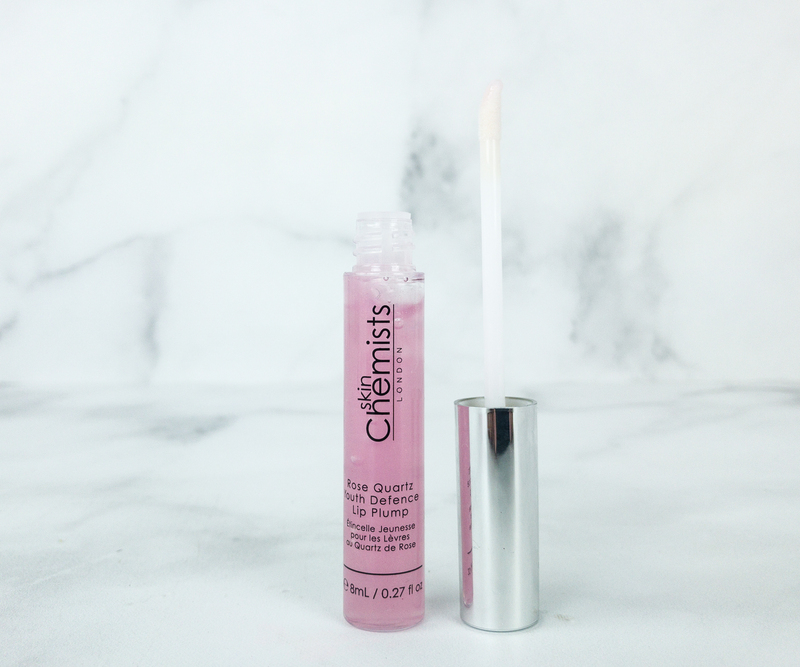 The brightening eye serum is gentle on the eyes and applies smoothly, the lip gloss just makes the lips shiny and smooth while delivering a glossy punch to the lipstick. The perfume is addicting to use and the dry shampoo can be very handy if you want a freshened up look. Lastly, the versatile duo palette just saves a lot of space in my travel kit as it works 3 products in one. Total value for my box this month was about $90!